LONDON/SAN FRANCISCO - For SoftBank Group Corp., $100 billion (¥11 trillion) isn’t enough. The conglomerate, which has reshaped the technology startup landscape with its Saudi-backed Vision Fund, is in talks with investors to add as much as $15 billion more to its already massive fund, according to people familiar with the discussions. In about two years the Vision Fund has invested more than $70 billion in tech companies. SoftBank wants to continue its deal spree while leaving enough assets in reserve to continue buying shares in companies it currently backs. Later, it plans to undergo an even more ambitious effort to assemble a second Vision Fund, said the people, who asked not to be identified because the deliberations are private. SoftBank has weighed a variety of ways to pump more cash into the original Vision Fund. Proposals include raising more capital, persuading state-backed investors in Saudi Arabia and Abu Dhabi to waive their rights to debt repayments or taking out more bank loans, said the people. Terms of the fundraising have yet to be finalized, and there’s no certainty a deal will come together, one of the people said. Spokesmen for the Vision Fund and Abu Dhabi’s Mubadala Investment Co. declined to comment. Representatives for Saudi Arabia’s Public Investment Fund didn’t respond to requests for comment. The Vision Fund has been writing huge checks at a rapid rate since raising the bulk of the fund in 2017. SoftBank has signed dozens of deals with startups involved in cancer detection, construction, dog walking, indoor farming, ride-hailing, satellites and window glass. 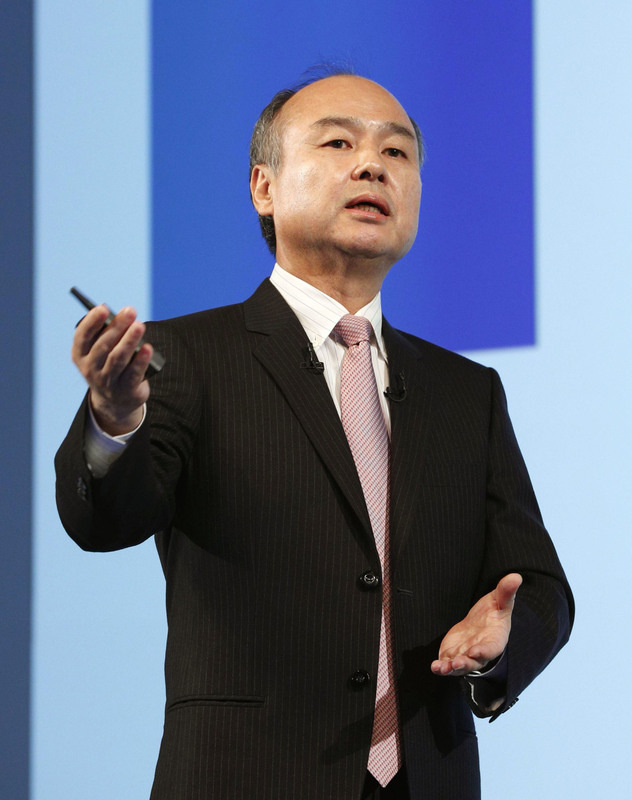 SoftBank founder Masayoshi Son has said he intends to raise a new $100 billion fund every two or three years. For a while, SoftBank appeared to have a long-term partner in Saudi Arabia. Crown Prince Mohammed bin Salman, the chairman of the nation’s sovereign wealth fund, said in October that he would pledge another $45 billion to the next Vision Fund. Then the crown prince came under fire over accusations that he ordered the assassination of a Washington Post journalist. He denied prior knowledge and blamed the killing on Saudi security operatives who had gone rogue. Amid the international scrutiny that followed, the relationship with SoftBank and its biggest Middle Eastern investors showed signs of fraying. The Wall Street Journal reported in February that representatives of the Saudi and Abu Dhabi funds had voiced concerns over the high prices the Vision Fund was paying for tech stocks. Son had been holding preliminary discussions with investors last year about backing a second fund that could be established as soon as this year. The new fund would likely draw a wider pool of financiers. SoftBank is seemingly in a more favorable negotiating position now. The stock is up about 50 percent this year. Although the debut of the second fund isn’t expected imminently, executives from SoftBank have been meeting over recent months with a range of investors — some of whom backed the original Vision Fund and others who didn’t — in attempts to nail down commitments, people familiar with the talks now say. One stopgap to keep the money flowing came last month, when the Vision Fund secured a $3 billion loan from Goldman Sachs Group Inc. and other banks. SoftBank executives have since renewed talks with banks to potentially take on even more debt for the Vision Fund, said people familiar with the discussions. Another idea currently under consideration would enable the fund to reinvest some of the $5.6 billion profit it has made from investments in Nvidia Corp. and Flipkart, said the people. Or they might wait until Uber Technologies Inc. and Slack Technologies Inc. go public in the coming months and include a piece of those profits, one of the people said. Either scenario would require investors to approve changes to their contracts, which is no small feat. A third scenario relies predominantly on the fund’s backers in the Middle East. 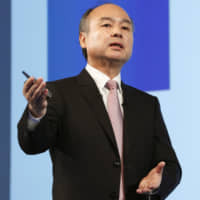 SoftBank is asking investors to consider giving up the $3 billion a year they demanded in exchange for $40.6 billion in a preferred equity loan to the fund, the people said. Saudi Arabia and Abu Dhabi hold the vast majority of that stock.